One can indulge or enjoy swim in some water sports activity at Baina Beach. It is a beautiful beach; this pleasant beach is located in Mormugao, of Vasco city. 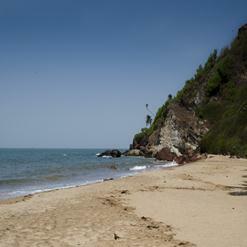 Many tourists now visited this beach as it is just a walk-able distance from the Vasco city and is considered quite a safe beach.